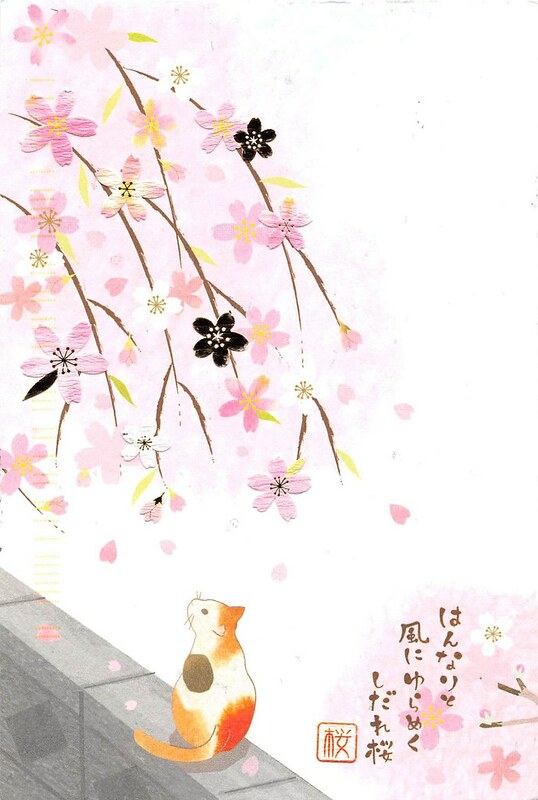 Here is another delgihtful Postcrossing surprise: a fantastic cat among cherry blossoms postcard from Japan. It is hard to appreciate the loveliness of this card in a photo, because the postcard has textures; some of the cherry blossoms are raised in a textured, hard-tissue-paper-like fashion, as is the chop seal near the bottom by the kitty, and some of the blossoms are gold foil. 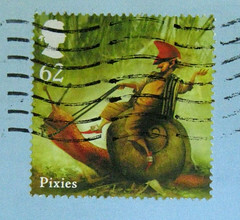 That doesn't show up so well in this photo, but you can get a better sense of it on the JP-640891 Postcrossing postcard page, where the sender uploaded the photo of the postcard before she sent it. I don't usually post the backs of postcards, but this one was so adorable I had to share. 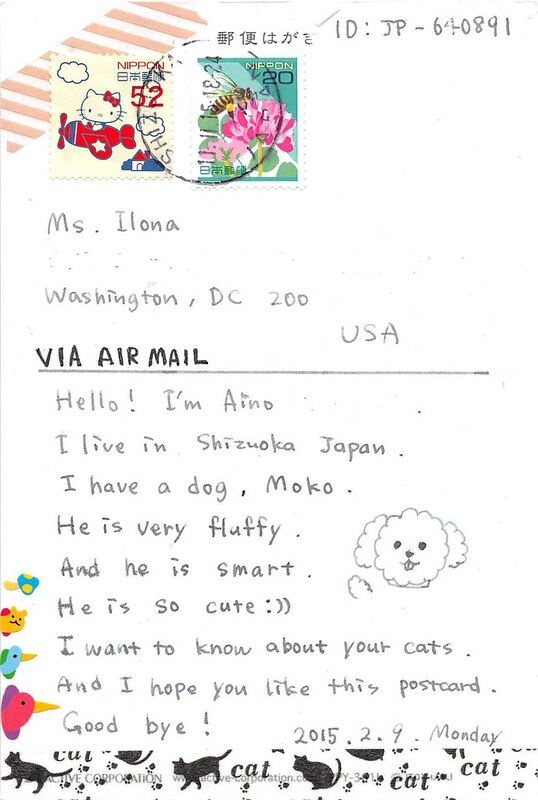 Japanese mail brings me great joy, too :) What lovely artistic eyes they have, and their writing in English is so precise and neat! Stunning, thanks for sharing. I love the koi coloring on the cat. Hadn't even thought of the cat as koi coloring, but I see what you mean now that you mention it. Cool! I guess calico cats are colored like this, but the smooth edges of this cat and the way the color is done definitely spoke 'koi' to me. what a beautiful postcard, and all the little details are so amazing!!! !